One of the most successful Division I rifle programs in the country will be no more after next Fall. The University of Nevada’s athletics department announced last week that they will end the Wolf Pack Rifle Team at the conclusion of the 2018-19 season, replacing it with a cross-country team. University President Marc Johnson said the moves “best represent Wolf Pack athletics in the current intercollegiate athletics landscape and our future within the NCAA and the Mountain West Conference,” stressing the school will continue to fully support the rifle program through the current season. The public research university said that, while the rifle team has had a string of successes in its existence, it has found it hard in recent years to continue as the pool of competitors has shrunk, with just 30 Division I programs nationwide— about a quarter of which are military academies — currently sponsoring the sport including only three schools west of the Rockies. However, as pointed out by The Maven, the Wolf Pack Rifle Team has won more NCAA championships than any other sport at the university. “These are not easy decisions, and we’ve gone to great lengths to examine, identify and chart the best course of action for Nevada athletics,” said athletics director Doug Knuth. 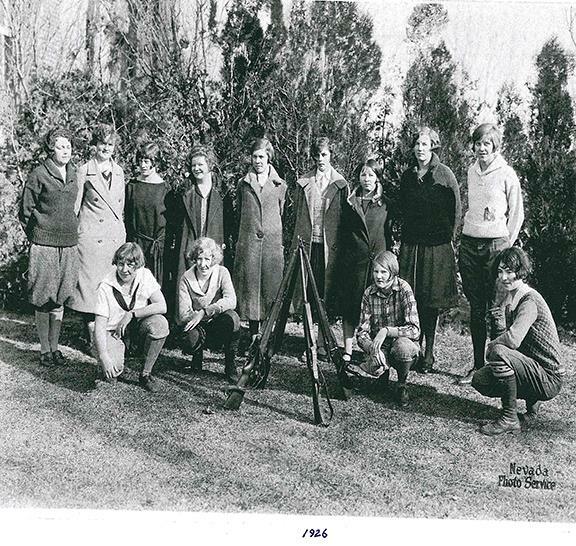 The school’s 1926 female rifle team. The team’s current makeup is strong with female student-athletes. Colby Sakumoto, the team’s manager, stressed that the move could leave student-athletes cut short as, with a limited number of schools available with a similar program to choose from, the likelihood of finding open spots are slim. “For many of these athletes, UNR’s rifle program was one of their only options to compete in the sport while being able to attend a major university in relatively close proximity to their families in the west and northwest parts of the country,” he said. Founded in the 1900s, the team has for much of that time included female athletes and, as noted by the program, the majority of the current team are women. The post University of Nevada-Reno disbanding their historic NCAA rifle team appeared first on Guns.com.